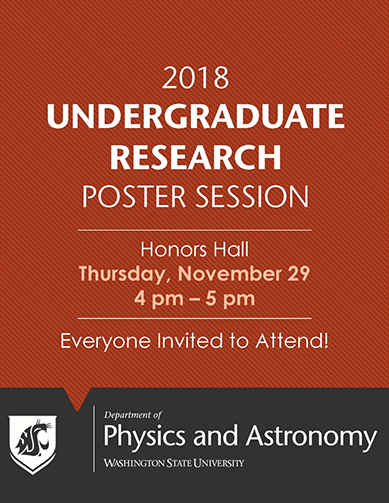 The Department of Physics and Astronomy invites you to the Undergraduate Thesis Poster Session to be held in Honors Hall. This will be the first annual event that our undergraduate majors will be presenting their research at a poster session. Everyone is invited to come and learn about all the research that they have been doing towards completing their undergraduate theses.